Pray for all the resources and creativity needed to fulfill the intentions of God in the state of Minnesota. State Information: The “Land of 10,000 Lakes,” Minnesota got its nickname because there are more than 12,000 lakes throughout the state. 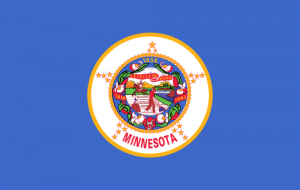 Its name comes from the Dakota (Sioux) word for the Minnesota River’s “sky-tinted waters.” The Minnesota Territory was formed in 1849 from what had been part of the Northwest Territory, and Minnesota joined the Union in 1858. The state flower is the pink and white lady’s slipper, and the capital is St. Paul.